Finance is drowning in a deluge of data. Humans are not very good at comprehending large amounts of data. One way out may be visualization. Traditional ways of visualizing patterns, complexities and contexts are of course charts and for derivatives e.g. payoff diagrams, a more modern approach are heat maps. Do you know of any innovative (or experimental) ways of visualizing financial and/or derivatives data? Visualization should lead to truth and understanding. As such, I find that simple visualizations tend to be the best. 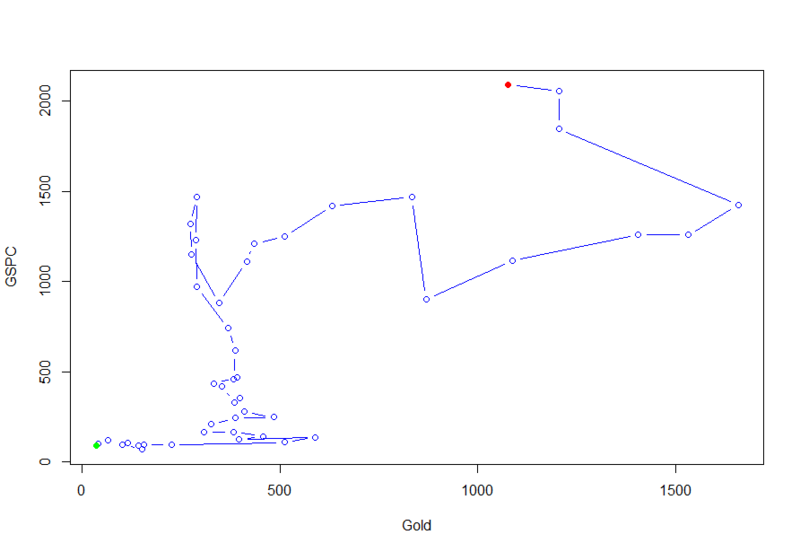 My favorite visualization for showing relationships is the scatterplot. Once you start to even introduce a line plot, you are implying continuities between data that may not exist. And trying to introduce more advanced visualizations like network diagrams (ex) or complicated pie charts (ex) can lead to more confusion than understanding if misapplied. I think that you have already mentioned a few good ones. 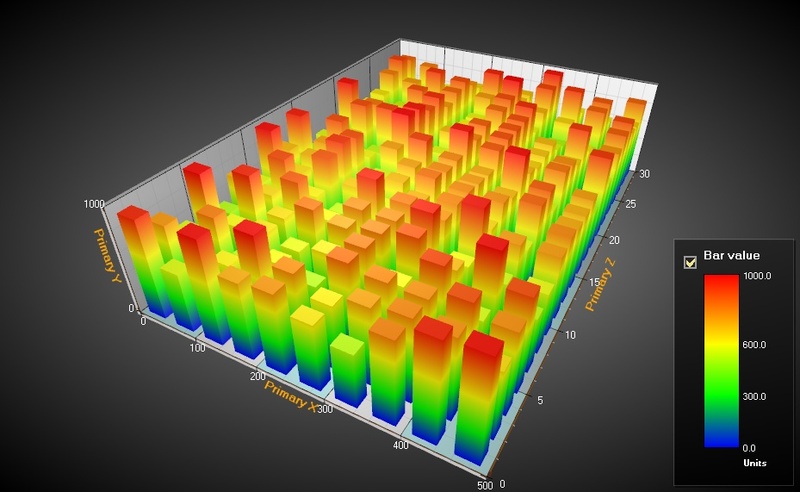 Heatmaps are good because they allow you to show three (or more) dimensional data without the added issues that arise when trying to create a 3D visualization. Payoff diagrams are simple but they accomplish their goal efficiently as a result. 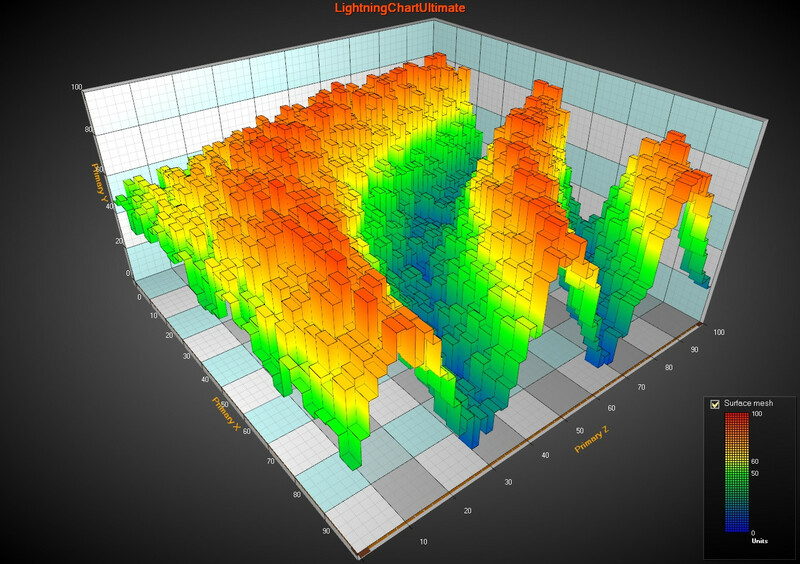 The FinViz website has a few nice examples of visualizations, including a simple bar chart, candlesticks, and heatmap. People often don't consider that it is possible to include more dimensions in a typical plot by changing the width, size, color, or intensity of a shape. This is a much better idea than trying to plot more than 2 dimensions spatially. The fourth real dimension is time, and time plays a very important role in financial data. One popular way to incorporate this as another dimension in a visualization is through video. A great example is gapminder, the software created by Hans Rosling, which made for some very compelling TED talks about global poverty. This was acquired by google and is now available as part of their web toolkit (also mentioned by Ben Hoffstein). These each have a learning curve, but once you learn how to use them they all allow for exploratory data analysis in a way that can't be achieved with other tools. Panopticon does an amazing job with real-time visualization. Tableau, Spotfire, and Qlikview all allow for interactive visualization of data using in-memory databases. The Google Motion Chart is a particularly elegant visualization for 'replaying' time series data. There is also an R package to interface with it. 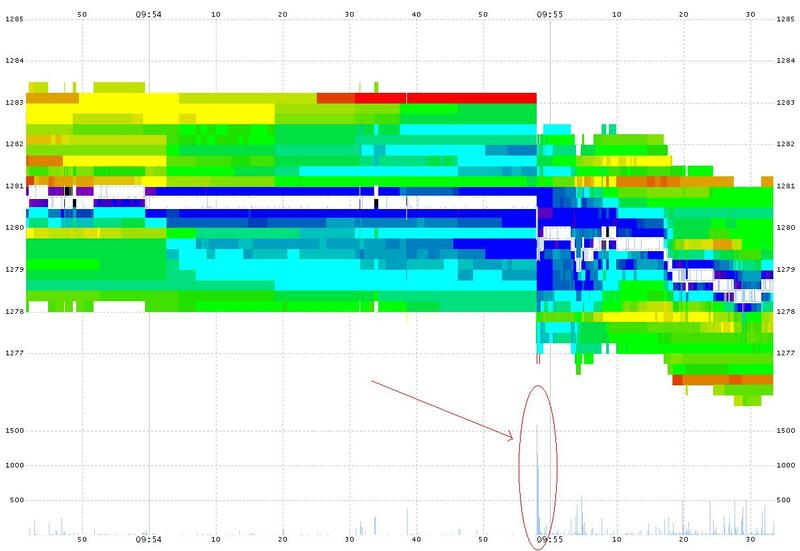 The following images show CME's emMni future (S&P 500) depth of book and trades. The images are rainbow (ROYGBIV) color coded by the relative size at each depth level. Red indicates a lot of size, violet indicates size approaching 0. Note that a full minute before each event, the depth starts cooling rapidly. The volume of contracts traded is represented at the bottom of the chart. Seriation (pdf pertaining to R package seriation, but great intro to the topic). They are not explicit visualize techniques, per se. Instead, they are algos that transform underlying data in ways that aim to lead to greater/new insight on the underlying data. Thus, in my mind, the above approaches share the common objective with xy plots, contour plots, scatter-plot matrices, heat maps, etc. For strict quantitative visualization, Tufte, as mentioned above, a great place to start. Personally, I've gotten more out of Wong's, "The Wall Street Journal Guide to Information Graphics" and Janert's "Data Analysis with Open Source Tools". However, keep in mind that each have different audiences and objectives in mind. I also believe Processing (mentioned by Shane) has a very bright future in finance - it's been used heavily by multimedia artists primarily because of its relative ease and great flexibility. The green point marks 1970, the red point is today. Every point is a year, moving vertically upwards means rise in the S&P 500 without gold changing, moving horizontally to the right vice versa. The diagonal line would be perfect correlation. On the given website are many example to play with and there is an accompanying paper which can be downloaded (pdf) free of charge. The market plays music all the time. The problem is you never know how the music of the market is going to end. But a good framework is that it will end on the tonic. Consonance to dissonance back to consonance. And whenever there's tremendous dissonance, strident moves in one direction, a good working hypothesis is that at the end, you'll find consonance again. At some point, Neiderhoffer developed a means of "playing" audio of market moves for his trading desk. (I'll try to find a link to the source, its been a while since I saw it. I have a colleague, that creates audio files of fractal market structures. He can play an entire day's tick by tick volatility. It just provides a different way to experience the data. Such things, like the things this great question has evoked from the community, may shift the way we think about things and keep us fresh. If anyone wants to listen to some short clips, contact me by my email, posted in my profile, and I'll send a few. To me, coloring by data value is a great way to bring applications alive. And of course 2D heatmap is a very handy for sure. There are many price driven financial data finsualization concepts are available such as candle stick stock charts. However, there is an advanced charting concept, Mano Stick which is supply & demand driven charting concept. Mano Stick is a multidimentional charting concept which is able to display price information along with volume information to show trend changes in early statge. Visit http://www.manostick.com/share-price-analysis.html. And see mano Stick at http://www.manostick.com/Images/MS-volume.png "manostick"
download gnuplot better then matlab , R and has almost every thing you will need It can also do everything mentioned in the other posts, and even visualize data in real time, at no cost as its open source and offers output to almost any format you want even LaTex for your thesis. I have brainstormed ways, unsuccessfully, to visualize the millions of traders interacting in a network - buying and selling, shorting, etc... It would be cool if anyone had any ideas on how to visualize a network with millions of nodes interacting in a trading exchange with Three.js -- perhaps with Bitcoin for a practical example, since I imagine most trade information is confidential or expensive. BitListen -- "Realtime Bitcoin transaction and trade visualizer" is pretty neat. Not the answer you're looking for? Browse other questions tagged data derivatives visualization or ask your own question. How to “uncluster” a set of financial data? Are there data sets for the topology of financial assets? 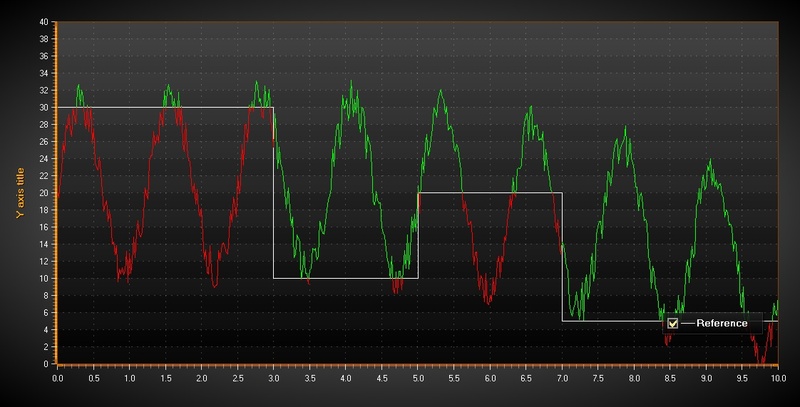 Different ways to express a 2s10s steepener?